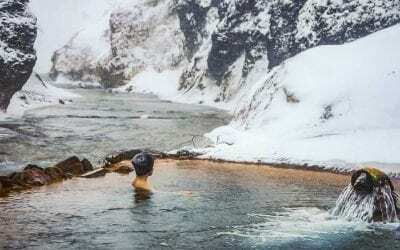 This self-guided adventure is the perfect way to spend three days in Iceland with the comfort of your own car but an itinerary that will make sure you don’t miss out on any of the must-dos. Get prepared to do a lot of driving on this 3 day south coast adventure! 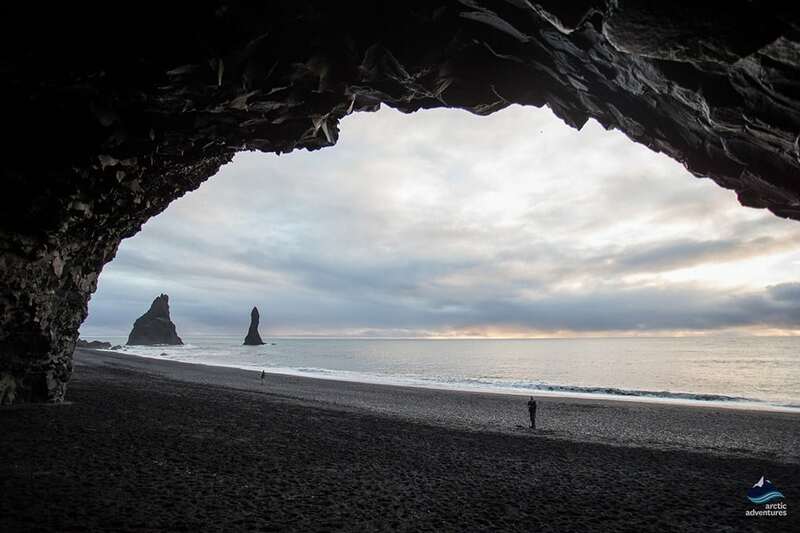 From Jökulsárlón Glacier Lagoon and Diamond Beach in the East to the jet black sands of Reynisfjara beach on the South coast, the 3 days will include a Crystal Ice Cave Tour, multiple waterfalls, and the best views and landscapes Iceland has to offer! 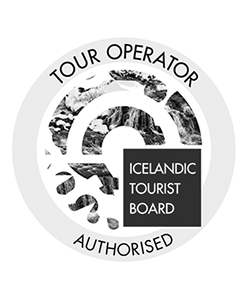 Covering around 300 kms each day, this tour ensures you do not miss any highlights and hidden treasures of the South of Iceland. 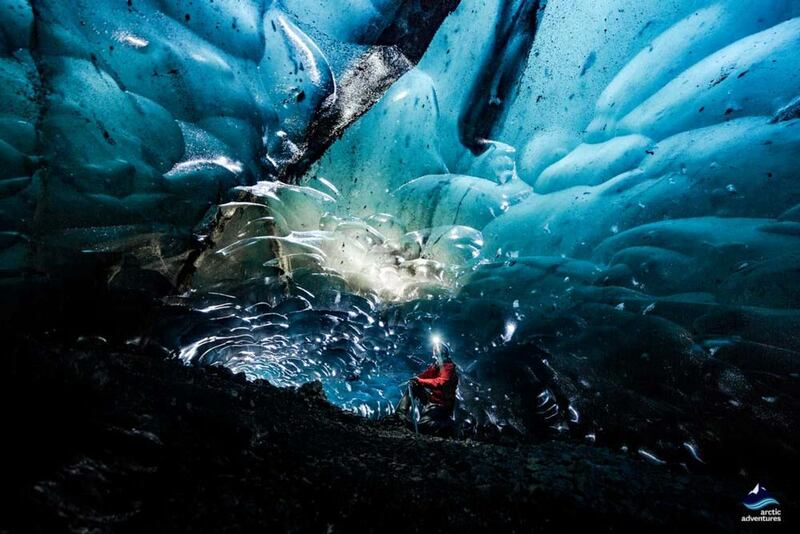 Included is a rental car, accommodation and a Crystal Ice Cave tour. 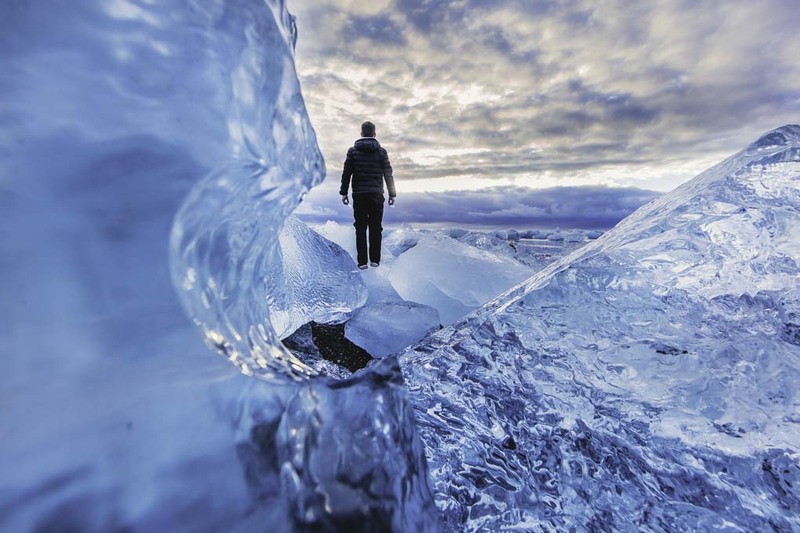 Upon arrival in Iceland, you will instantly get that adventurous feeling. 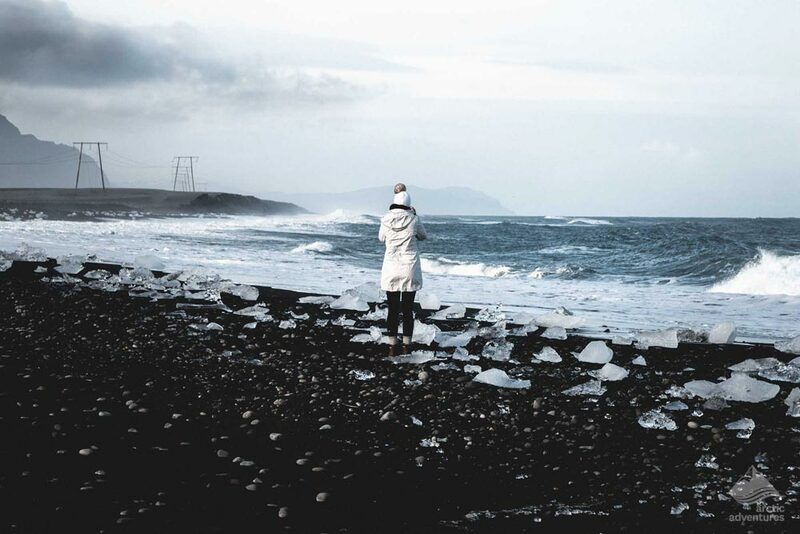 Keflavik airport is located right in the middle of a lava field on the Reykjanes peninsula, where you will be able to pick up your rental car! 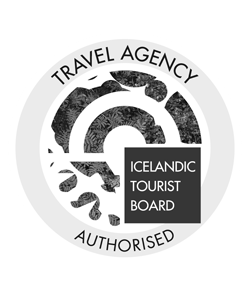 Alternatively, choose Reykjavík pick up for the rental car and arrange to book a night in the capital region before the tour starts. You will start driving south, to the South Coast of Iceland! 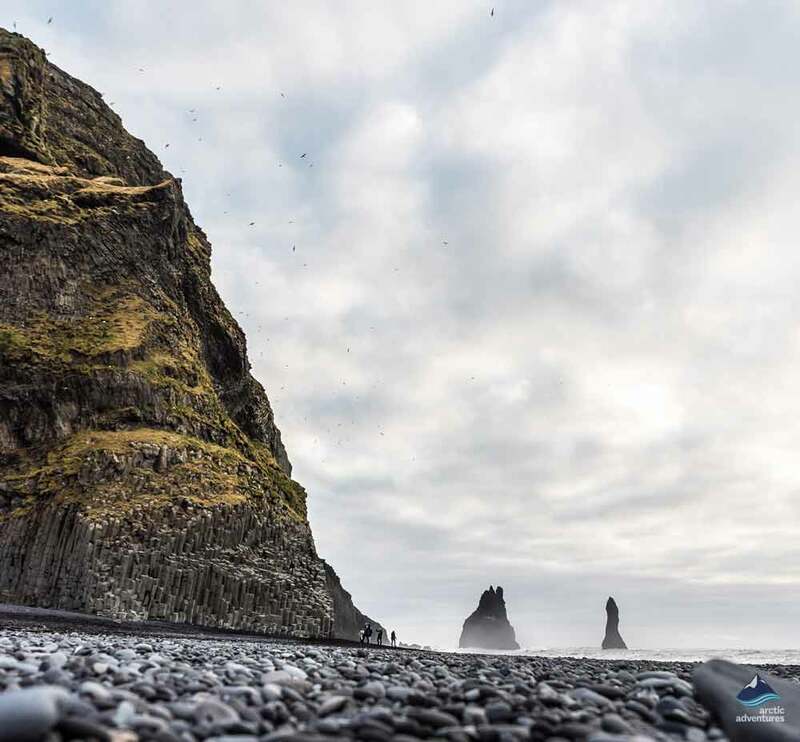 You can stop as many times as you like, but make a point to stop at the Kerið volcanic crater lake and Reynisfjara black sand beach – arguably the best beach in Iceland and possibly the best black sand beach in the world, along the way! If you want to explore further the Dryholaey Cape is not too far and well worth spending an evening. Day two will consist of more exploring, taking in sights such as Skaftafell National Park, home of huge glaciers including Skaftafellsjökull and Svínafellsjökull. 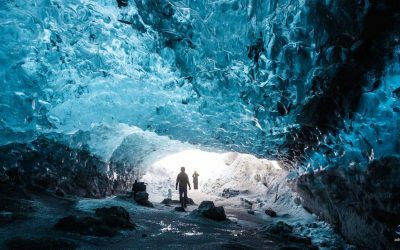 Highlights will include the Crystal Ice Cave Tour, where you will get to explore Vatnajökull – Europe’s Largest Glacier and Jökulsárlón Glacier Lagoon- truly representing the ‘ice’ part of the Land of Ice and Fire. 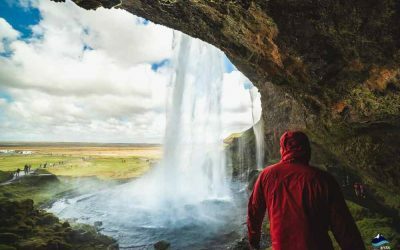 The last day will consist of a long drive back to the airport to drop off your rental car, but make sure you visit points of interest like Seljalandsfoss (the waterfall you can walk behind) and the hidden, mysterious Gljúfrabúi Waterfall along the way! If you have pre-booked tickets for the Blue Lagoon, this is the best time to go, as this pool of mineral-rich, blue water is located only 20km away from the airport. Don’t worry, you can always rent sturdy hiking boots, a waterproof jacket, and pants in the booking process. Arrive at KEF airport at any time in the morning, pick up your rental car there and start your road trip right away. 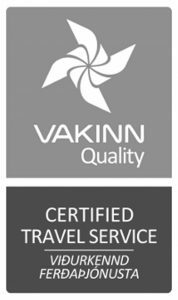 Alternatively or if you arrive later in the day, choose Reykjavík pick up for the rental car and stay 1 night in the city and pick up your car from BSI. Make your way towards the South Coast. You can stop at the waterfalls and volcanoes along the way. It is a long route so it is best to get going earlier in the day – there’s a lot of Iceland to get in! Making your way through the city you will soon leave the busy streets behind and head into the quiet, sleepy towns and open roads. 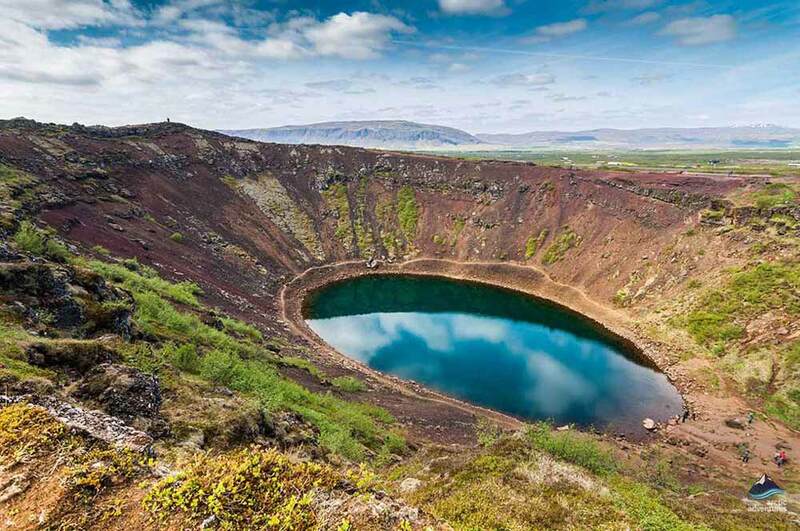 Along the route, you will pass Kerið crater, a spectacular volcanic crater lake in the Grímsnes area of Iceland, in the Western Volcanic Zone. Additionally you should make a stop at Skógar, a small town village (25 people) located at the South of the Eyjafjallajökull glacier. 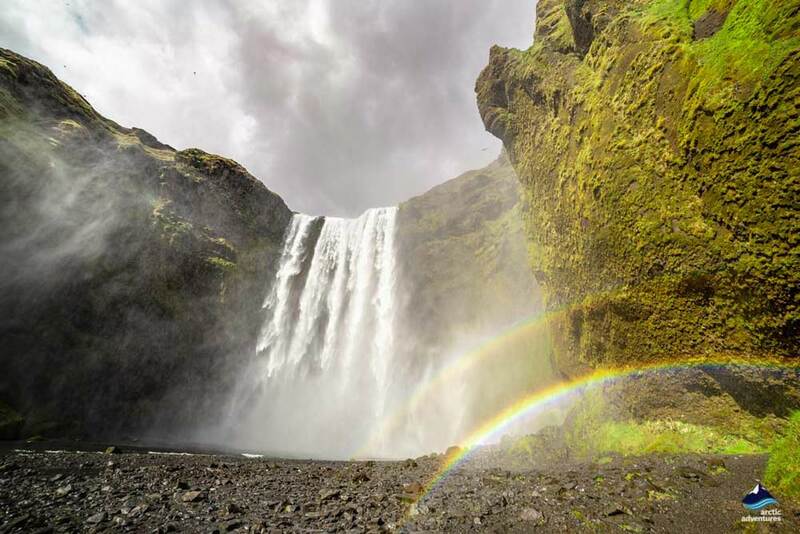 The town is home to Skógafoss waterfall,one of the biggest waterfalls in Iceland, with a drop of 60 meters and a width of 25 meters. 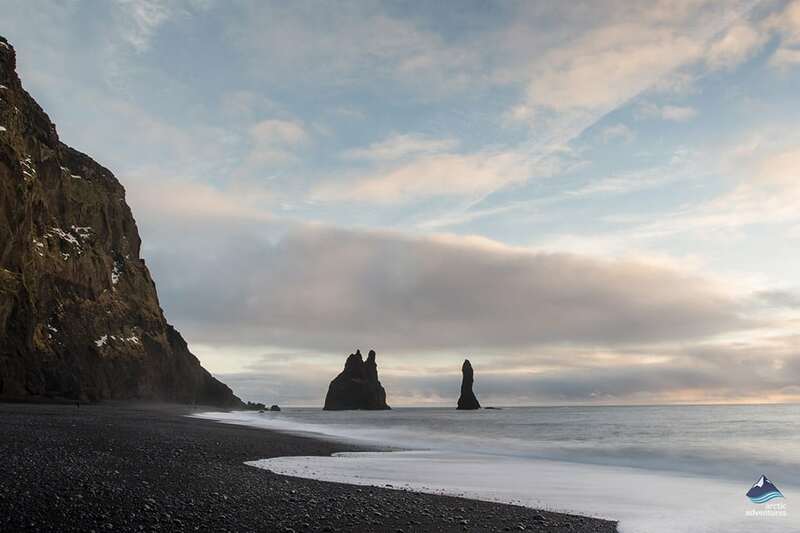 Reynisfjara beach is arguably the best beach in Iceland and possibly the best black sand beach in the world! 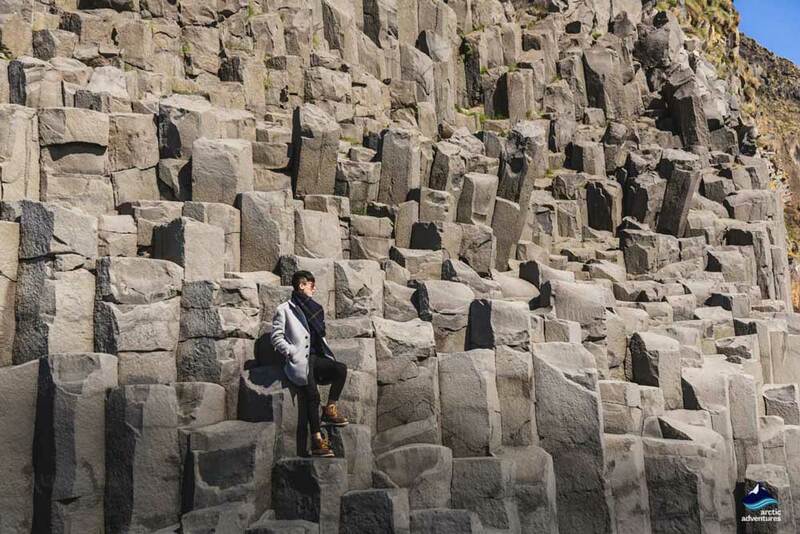 With a rich history of trolls and legends, Reynisfjara is recognised for its unique hexagonal, basalt columns which tower up the cliffs. This lava beach is jet black as a result of hot lava cooling instantly in the mighty waves of the Arctic ocean! 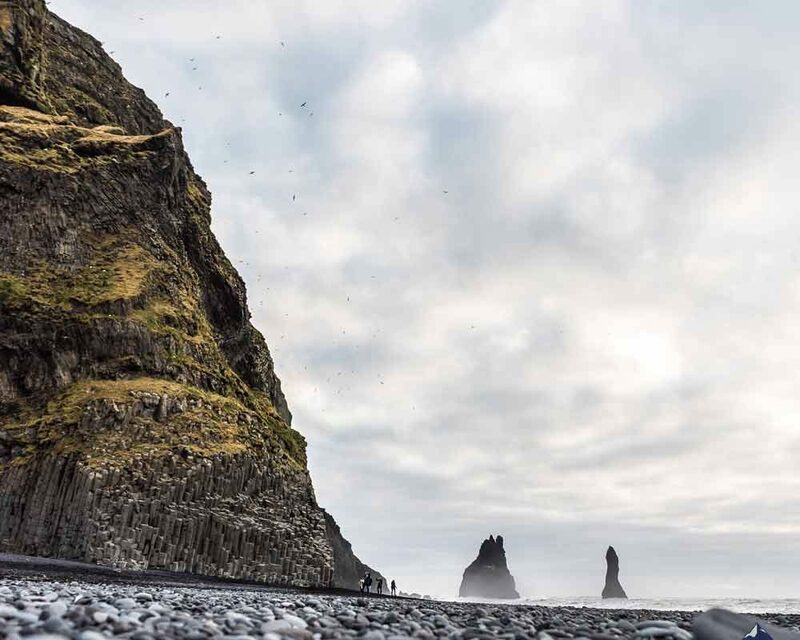 Last on your itinerary should be the town of Vík í Mýrdal, the Southernmost village in Iceland. Your hotel will either be here or in Skogar. 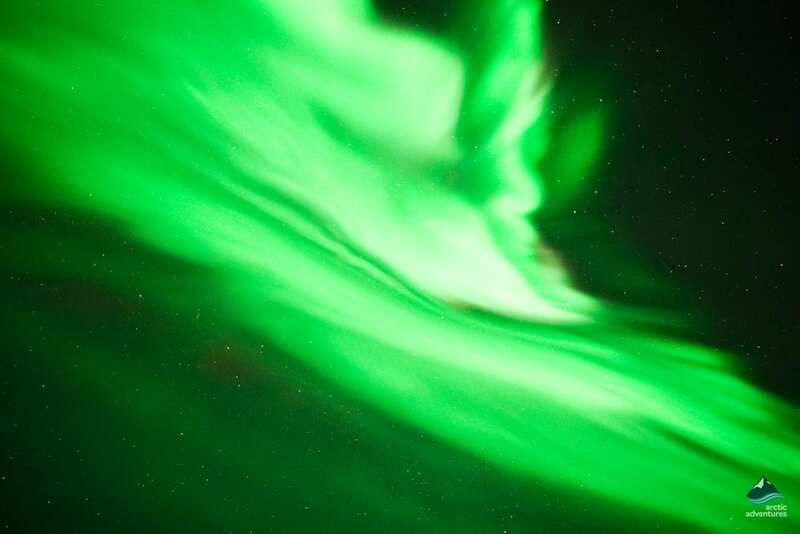 In both villages there is ample darkness to be able to see the northern lights, should they appear! Day 2 will be spent exploring Skaftafell National Park and Jökulsárlón glacier lagoon. Your day will start off at Skaftafell National Park, home of huge glaciers including Skaftafellsjökull and Svínafellsjökull. Svartifoss Waterfall, “The Black Waterfall” and one of the most famous falls in Iceland is found within the park, recognised for its unique, hexagonal, basalt columns and crystal clear icy water which contrasts against the deep black darkness of the lava field. 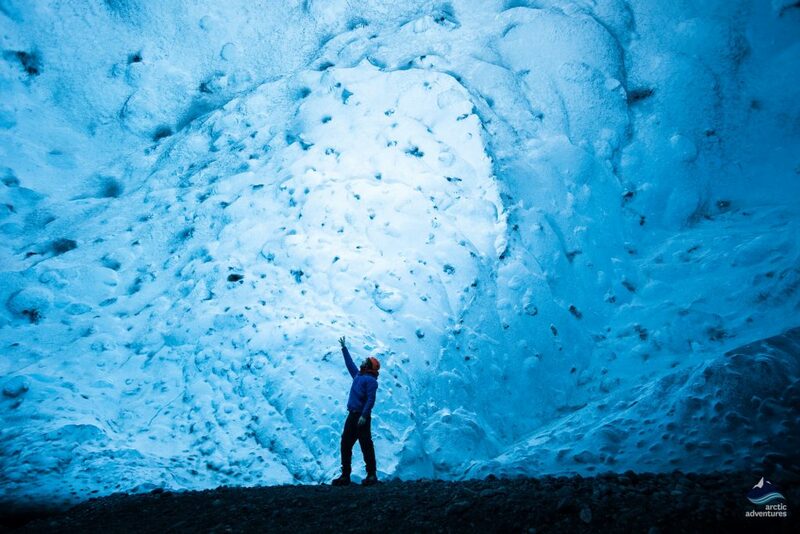 Next up, you will partake in a Crystal Ice Cave Tour. 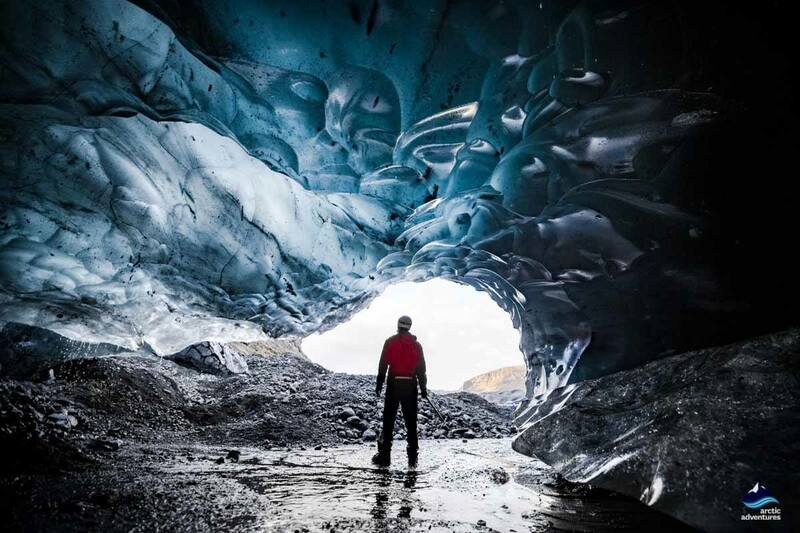 Departing from Jokulsárlon Glacier Lagoon, on this small group experience you will get to explore Vatnajökull – Europe’s Largest Glacier, for a once in a lifetime experience to see the colours and textures of a crystal ice cave. New caves are formed each winter by the melt/freeze cycle of the glacier, they are always changing, both from year to year and within each winter. 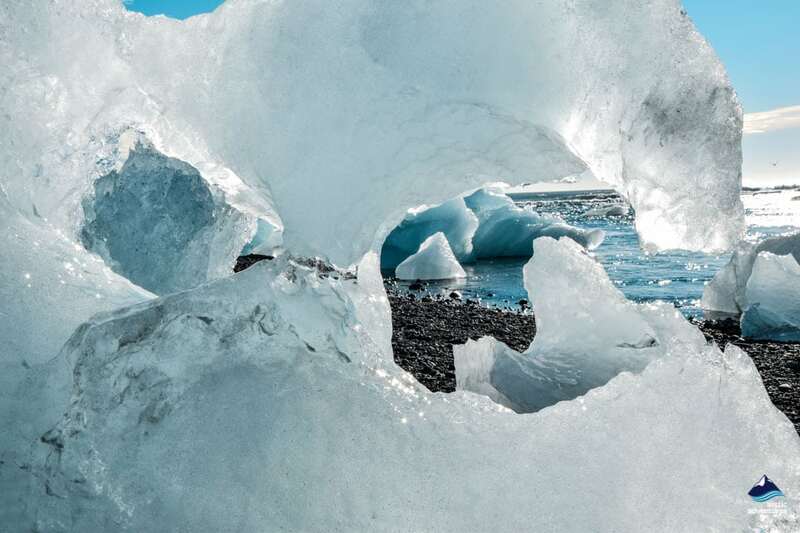 The renowned Jökulsárlón Ice Lagoon, made famous by several blockbuster movies including Batman Begins and The Secret Life of Walter Mitty, to name just a couple, is a totally mind-blowing place. 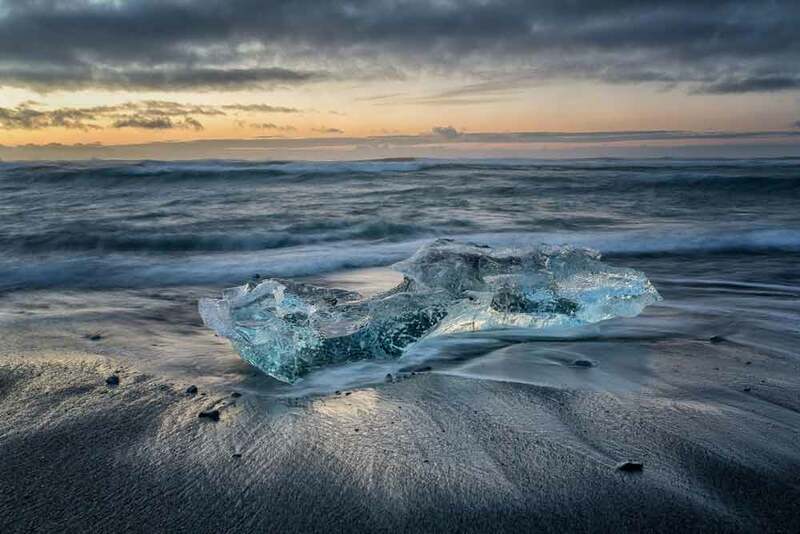 On return to the glacier lagoon, you have the rest of your day to take in the sites of the floating glaciers and make your way down to Diamond beach, where several glaciers wash ashore onto the jet black sands. 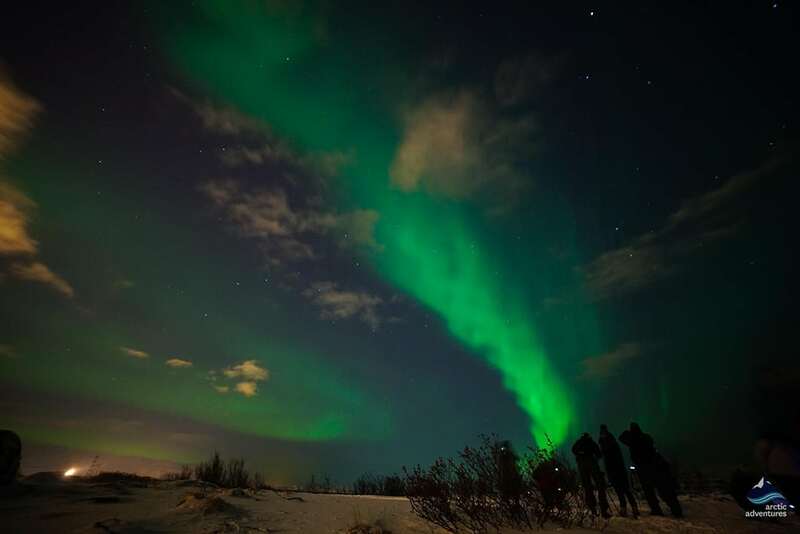 Arrive at your hotel in Klaustur or Skaftafell, to either catch up on sleep for tomorrow’s long drive, or stay up and wait for the Northern Lights! Today consists of a lengthy, scenic drive back to Reykjavik or the airport if you have an evening departure for this day. Driving back along the South Coast to Reykjavík you will pass many points of interest worth stopping for, if you have the time. Seljalandsfoss Waterfall is one of the very rare waterfalls in the world, where it is possible to walk behind the narrow, cascading falls. Which is why it is so famous and popular amongst travelers. 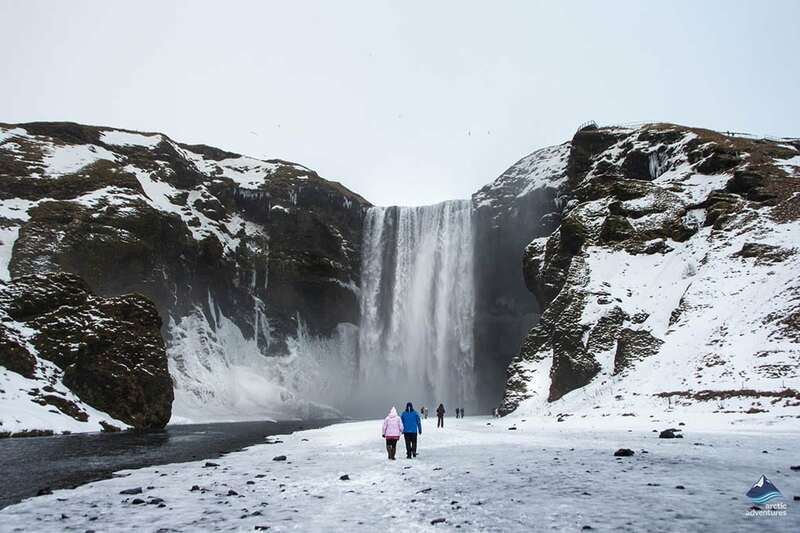 Gljúfrabúi Waterfall is very near, but is often overlooked as it is hidden behind a large cliff face. You have to wade through a stream to get a closer look, so take care in the winter. 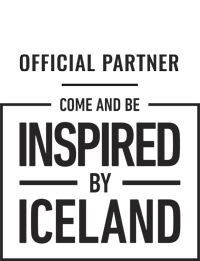 Finally, if you have pre booked tickets for the Blue Lagoon, this is the perfect time to go! The blue mineral rich water leaves your skin soft and smooth after a relaxing visit and is located only 20km away from the airport. After your relaxing spa session in the lagoon, drop-off your rental car at the airport and prepare for departure! 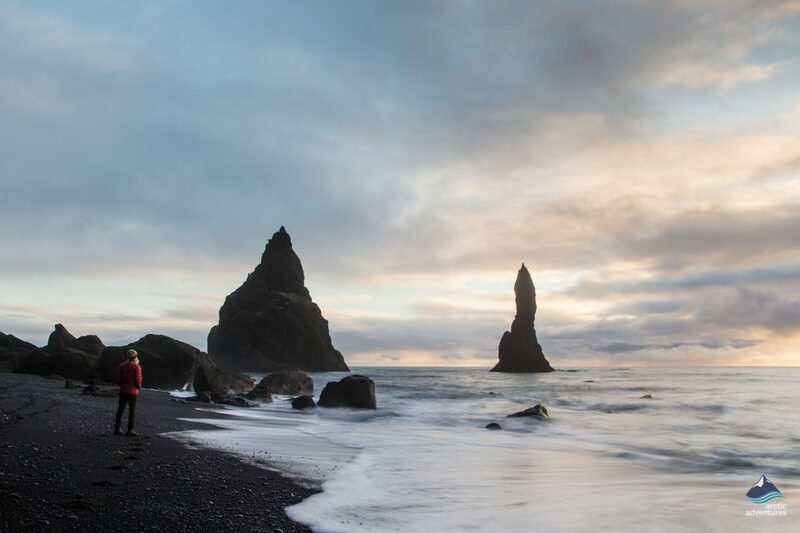 We hope you had an amazing few days exploring the South coast of Iceland!